Few thing are more influenced by culture as design, but few things are more systematically ignored by designers as culture. I grew up in suburban America, but spent most of my adult life in South Asia. While overseas, I learned some valuable lessons. I began to learn the importance of community in contrast to the emphasis on individualism in America. There I began to better see the transient nature of material things. And, professionally, as an eager-to-learn designer, I began to recognize the need for a cultural perspective in design. There was a punctuated sense of awareness that there are others who don’t see the world the same way I do, and then, a gradual acceptance that this is okay. My educational background in cultural anthropology had taught me this, but, like mastering the skill of riding a bike, I guess it was something I needed to learn by experience. There is a movement toward empathy in UX design and web design that I fully support and deeply appreciate. Looking at design from the user’s perspective is essential to good design, but I am afraid it is unnaturally divorced from culture. Who are our users? Clearly, we cannot design for “everybody.” This is unrealistic. On the other hand, we cannot design for every individual. Where is the balance? How do we practically design for users? I think culture is the answer. 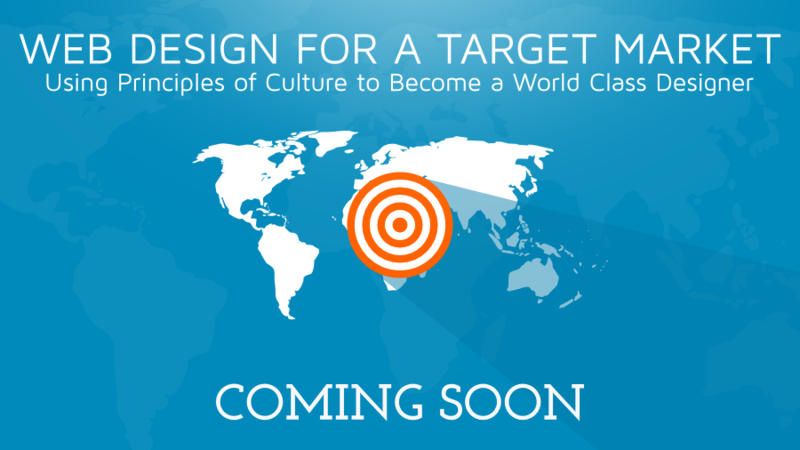 We can draw circles of various sizes around our user groups using principles of cultural anthropology. These circles can be as small as “Linux users in Ireland,” or as large as the “Chinese middle-class.” What binds these groups together is their culture. So, empathy in design, rather than being an impractical, albeit wise-sounding concept, should be seen as a good place to start. To be pragmatic, empathy must be anchored in a more advanced understanding of the user’s culture, and then as web and UX designers, we must allow that cultural understanding to drive our design.